Every world-class goalkeeper has top gloves to make amazing saves with. 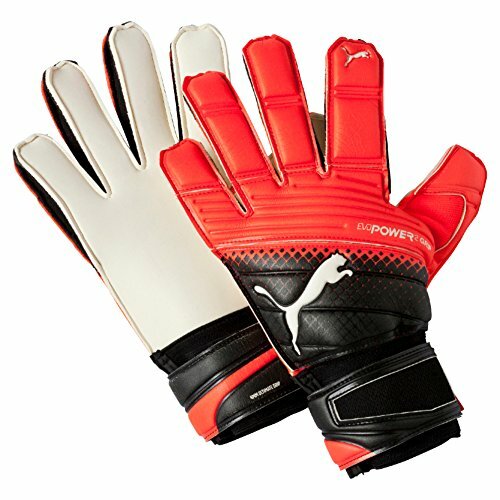 Finding the best goalkeeper gloves for you will make a difference in your performance. There are many things to consider before purchasing goalkeeper gloves, but always remember that works for one person might not work for you. The gloves are a very important piece of a goalkeeper’s gear. Each component of the gloves protects the hand in different ways, helping him play in various conditions. 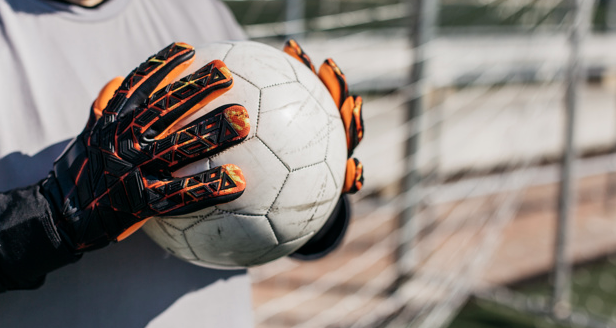 If you want to know which are the best soccer goalkeeper gloves out there, read on! These gloves are not only great looking, but they come at a reasonable price too. 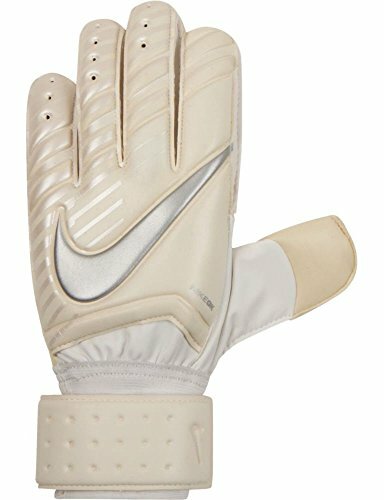 The Nike Goalkeeper Spyne Pro Glove are the perfect choice for the mid-range player who does not want to spend a lot of money. The goalkeeper gloves offer lots of protection with the fingersaves and the pre-curved fingers. The palm is manufactured form latex, making them perfect for handling and grip. They are fitted with the usual adjustable wraparound wristbands. The gloves are the perfect choice for those on a budget and they also come is several cool-looking designs. 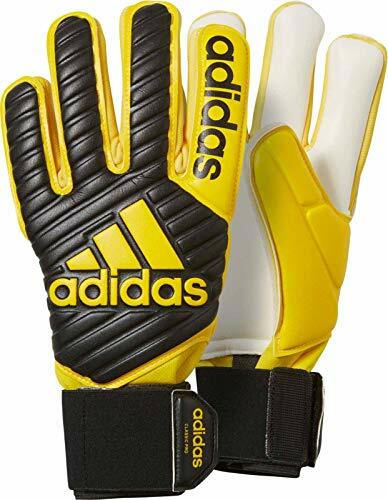 Adidas Ace Zones Pro Goalie Gloves are among the stylish options which offer a premium experience. They come in four eye-catching color schemes, with a close-fitting bandage, getting rid of the pesky Velcro. Fitted with the Evo Tech Zones these gloves offer both an excellent grip and ball control. These best goalie gloves also has specific areas and thick padding that improve control. 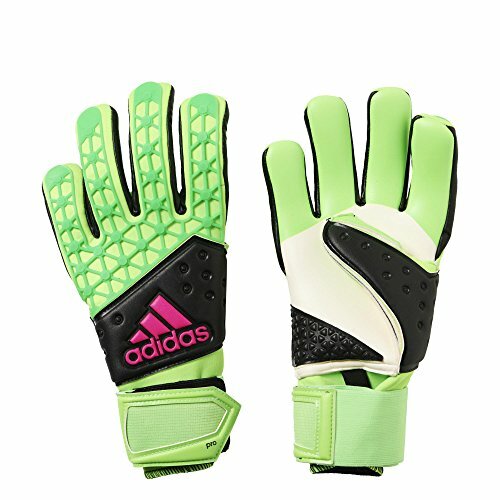 The Adidas Ace do not come with fingersaves, so if you like those, you might want to look at another model. These are similar to the model before, but they come with some very important differences. They might look simple with their sharp black design, but they are all business. These soccer goalkeeper gloves come with 4mm latex to cushion the blow and to better control the ball. Thanks to the stretchy wrist strap they fit like a custom-made glove. 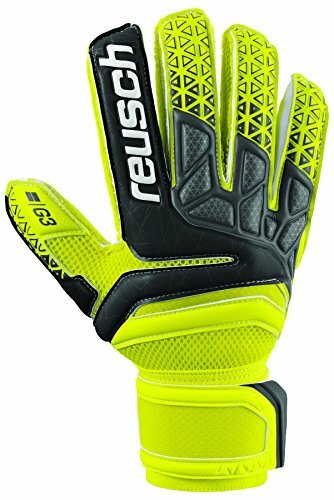 Again, this model does not have fingersave protection, but it offers excellent grip no matter what the weather conditions might be. These goalie gloves are perfect for the kids who are training to become goalkeepers. They are on the low end of the price range and they design is very attractive with the orange and grey. Because they are a basic leaning glove, they do not come with any finger support. They have a great grip and fit very well. Because of the low cost, you should not expect these to last more than a season. Puma has released some bold looking goalkeeper gloves, one vibrant pink and the other shiny yellow. You can be sure than everyone will see from a mile away. The 4mm grip on the palm is excellent and the gloves are a great example of how much technology has progressed over the past years. The strap is part bandage, part latex, providing more freedom and protection than a normal glove. The gloves are not fitted with fingersave technology, but they do provide top-notch grip, being perfect for mid-range players. 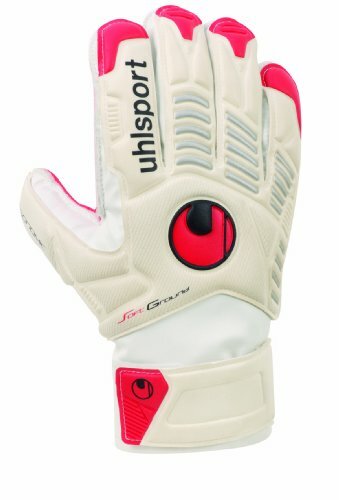 Although you might not have heard of this brand before, they offer some great products especially for goalkeeping. They create gloves worn by some of the top goalies in the world. The gloves are on the upper side of the price range, but it’s a clear statement that they are top-notch and will last for many seasons to come. They come with a new Ergonomic support system that lets your fingers not be restricted to being beside one another allowing a better handling of the ball. They come with fingersaves and a pull-loop system that closes the glove. Although they a quite pricey, they are a good choice for how much protection and performance they offer. 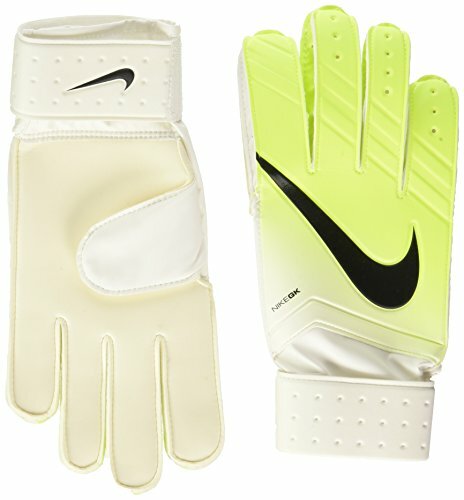 These are great goalkeeper gloves for training. Uhlsport is renowned for making amazing products and these gloves are no exception if you want something to learn and train with. These training gloves are made from latex on the backhand and the palm. Although you would normally see foam in training gloves, these have a normal cut. The flap is also latex and there is also some bandage to close the glove. On the downside, there is no include fingersave protection, which the company added for advanced training and match play gloves. An excellent choice for a mid-level player. This is another great option for a youth player or training, at a mid-level price. This model comes with fingersave support and the price is affordable! This model would be a great option for practice or training if you donlt want to break the bank for your new goalkeeper gloves. No matter how weird the name of these gloves might sound, they are still a great option for a goalkeeper. Actually, the names comes from the free-floating Ortho-Tec stay system for which the company is known. The backhand is latex, it has a bandage strap to enclose the hand and the negative cut style for the snuggest fit. These are great for intermediate players and women soccer players. A good think to note here is that these goalkeeper gloves have a better grip when they are wet. Being at the lower price range, these gloves have also made it to Amazon’s Choice. They come with a decent finger save system and a double wrist safeguard. A great option for a sub-$100 pair of gloves! 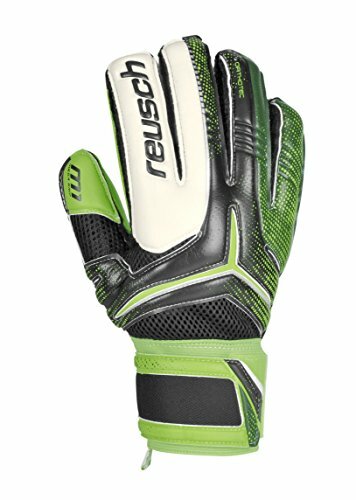 How To Choose Goalkeeper Gloves? The cuts refer to the way the material in the palm is constructed. It is the very first thing to see at a goalkeeper glove. The flat cut is the traditional one and it means that the palm has only one piece of flat foam. This type of cut is very popular among young players who are starting their career. Gun cut or rolled cut has the seams on the back of the finger in such a way that it makes the fingers roll forward. This offers the goalkeeper a larger contact area and a snug fit to catch the ball. The gunn cut gloves do not have enclosed protection of the top half of the fingers. The negative cuts have their seams placed on the inside of the glove and they are made of latex. These cuts also have gussets between the backhand and the palm. The gloves with negative cut are the snuggest and have a huge contact area. That is why they are great for the players with slim hands, youth and women. This cut is a mixture of all the other cuts or the gunn cut with the negative cut or flat cut. Materials and where they are on the various parts of the glove is also an important feature to consider. The backhand of the glove or the body of the glove is basically the gussets connecting the palm to the backhand. This area’s purpose is to offer protection of the lower part of the hand when punching. The cheap gloves have the backhand made of a single layer of foam, while the more expensive ones are made out of latex. The palm is the area that protects your palm. It is the most important area because it helps you catch the ball or, in some cases, watch it slip through your fingertips. You can choose from textured, smooth or dimpled palms. The smooth ones are the top quality and are used in matches, but the dimpled and textured ones are more durable and better for practice. The thicker the palm, the higher the quality and the more expensive the gloves. The closure refers to how the glove fits to your hand and closes. The fit depends on each person: some want a looser, more comfortable one, while others want the adjustable hook and loop flap that can be pulled as far as you want. The V-notch closures come with a vent in them to help keep hands dry and cool. The bandage closure closes like medical bandages and it is elastic. Fingersaves are plastic spines which are inserted into the backhand the glove. They can be stiff or bendable. The stiff ones, the most popular, can only bend forwards preventing hyperextension. The bendable ones can bend both ways for more flexibility. Not all gloves have fingersaves and these are not for everyone. For some they can restrict movement too much. The lack of fingersaves does not make a glove less good. Another thing to consider is the age of the player. You do not want to risk buying something that will be too big or too small. For the players aged 10 and below, a simple pair of gloves to protect the fingers will be enough. This will also help them how to apply the technique instead of relying on the gloves. After this age, some good goalkeeper gloves are needed as the shots taken can become quite hard. Wearing gloves with not enough support puts them in danger and they might end up breaking a finger, a wrist or a hand. A mid-level pair of gloves will work just fine. This is also important to think about before buying a pair of gloves. Do you tend to land on your palms? This means that the gloves will wear out much quicker, making them less efficient. For a younger, less-skilled player, you should buy something more durable and more affordable. When choosing the gloves you should also take into consideration the width of the hand and your body type. If you have a narrow palm and long fingers, then the negative cut is the right one for you. If you have a wider palm the classic cut or the roll finger may work best. Knowing the thickness of your wrists, the girth of your hand and the thickness of your forearms is very important in determining how the gloves will fit you. If the goalkeeper gloves fit tightly, they are more prone to holes and blowouts around the fingers or palm. The gloves should be 1/2 to one inch past the end of the fingertips. To find out your glove size, simply measure the circumference of the part of your palm under the knuckles, without your thumb. Round up to the next whole inch, and then add 1 to determine your size. For example, if you are 6.75, you round up to 7 and then add one more. Therefore your size is 8. Measure both sizes and if the results are different the buy the larger size for the most consistent fit. The training gloves are for beginner players and are perfect for practicing. 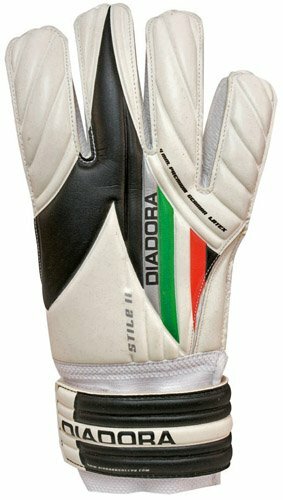 Although they have less grip, they are made to last longer than the match gloves. The match goalkeeper gloves are created for competitive soccer players in both high school and adult leagues. They are manufactured with quality latex to protect the fingers and to provide maximum gripping. On the downside, these gloves do not last long and require a lot of care. Weather gloves are designed to be worn only on windy conditions or extreme weather. Their palms are made from special latex and get stickier when wet, a very important advantage when playing in the rain. When choosing goalkeeper gloves you also have to consider the type of soccer you are going to buy them for. Indoor soccer is a torture for a goalkeeper’s gloves and shoes. This happens because it is a much smaller field with a smaller number of defenders and constant rebounds. Also, the gloves are going to hit the ground with the palm very often. For this type of soccer, you will need a much more durable glove. 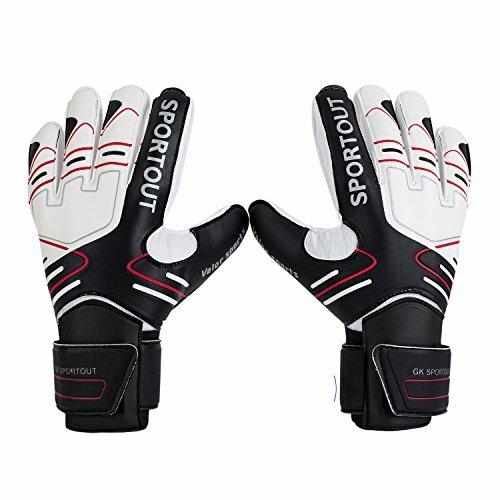 For the outdoor soccer, the goalkeeper usually needs two pairs of gloves: one for practice and one for the matches. You can purchase a pair for the first season and keep it for practice for the next season when you will buy a new pair of gloves. This way you will avoid buying two pair every year and save lots of money. Unfortunately, a pair of goalkeeper gloves does not last forever, but by taking care of them, you can help extend their lifetime. The first thing to do is to use an old set of gloves for practice and keep the new ones for the matches. This way the good gloves will get less abuse and because the practice gloves have less stick you will focus more on your technique. Another thing to remember is to avoid warming up in places that are mostly mud and dirt (or use your training gloves instead). Also, if you have gloves with a softer latex you might need to add additional moisture as the palm dries out. Be careful though because too much moisture will make your gloves slippery. Better experiment with your gloves before using them in a match. Do not wash your gloves together in the laundry. Put on one glove at a time and wash it with lukewarm water. Use a mild detergent to clean off sweat, dirt and grime. Avoid wringing your gloves out because the twisting would tear the threads at the seams and shorten your gloves’ lifetime. Let the gloves dry without direct warm or sunlight and place rolled up newspaper in the fingers so they can keep their shape. Be careful where you store your gloves. Do not put them away wet or with the palms facing each other because they can stick together and then rip when you try to pull them apart. Also do not store them in an overly dry area. As you can see, there are many factors to consider until you can find the best goalkeeper gloves for you. But if you pay attention to all of them you will find the right pair for you, the perfect gloves to give you everything you need on the field.